A-HOTEL.com - Luxury and cheap accommodation in Pererva, Russia. Prices and hotel, apartment booking in Pererva and surrounding. This indicative offer was derived from the most recently booked accommodation in Pererva and sort by the price, from cheapest Pererva accommodation to the most expensive hotels. To select accommodation by your preferences we recommend to choose from 1 accommodation offers in Pererva in total. By entering the dates of your overnight stay in Pererva and using the filter tools you can sort the best possible accommodation for you. The entered dates of your stay are crucial for the most accurate offer as it derives all the online information on pricing and availability of Pererva accommodation. Then you can book the selected Pererva lodging (hotels, apartments etc.) immediately. Located at the banks of Lake Seliger, Pererva Country House offers free parking. The cottages offer a seating area and TV. Guest House Konstantinova Usadba offers accommodation in Polnovo, on the bank of Lake Seliger. The guest house has a private beach area and offers various water sport activities, and guests can enjoy a drink at the bar. Featuring 3 Russian steam baths and a fishing pond, this hotel is located on the Seliger lakeside close to Gorodets village. It offers a private farm and free private parking. 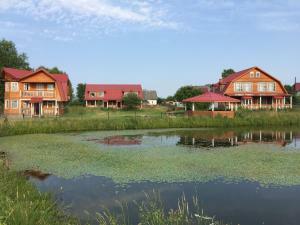 Sosnitsa Guest House is located in a picturesque place on the bank of Seliger Lake. It features a Russian steam bath and a small farm. Situated in Sosnitsa, Khutorok Holiday Park provides accommodation with a seating area and a kitchenette. A patio with lake views is offered in each unit. Situated on the bank of Lake Seliger in Mogilevo, Cottages Shemelinka offers its guests free Russian banya. Free private parking is available on site. Offering free WiFi and lake views, Cottage Khutoryanka 2 is an accommodation situated in Mogilevo. This holiday home has a garden and barbecue facilities. 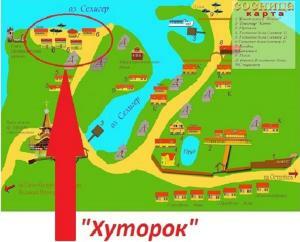 Offering a barbecue and sun terrace, Cottages Khutoryanka is located in Mogilevo on the banks of lake Seliger. Free private parking is available on site. Located in Zaplav'ye in the Tver region, Guest House Na Beregu Seligera features a terrace. Boasting a balcony, the holiday home is in an area where guests can engage in activities such as skiing and snorkelling. Facing the beachfront in Zapol'ye, Baza otdyha Zapolek features ski-to-door access. Featuring a 24-hour front desk, this property also has a restaurant and a children's playground. Surrounded by the woods, Seligerskoye Zaplavie Holiday Park is located 50 metres from Seliger Lake. It offers a range of activities, including tennis, fidhing and a sauna. Situated in Berëzovo in the Tver region, Holiday Home Tsentralnaya 17 has a terrace. Set on the beachfront, this property features free WiFi. Set in Zal'tso, Guest House Izba Ribaka provides accommodation with a kitchenette. A fridge and kettle are also available. Trofi Seliger 1 is a detached holiday home with a terrace, set in Tverdyakino. Guests benefit from balcony.